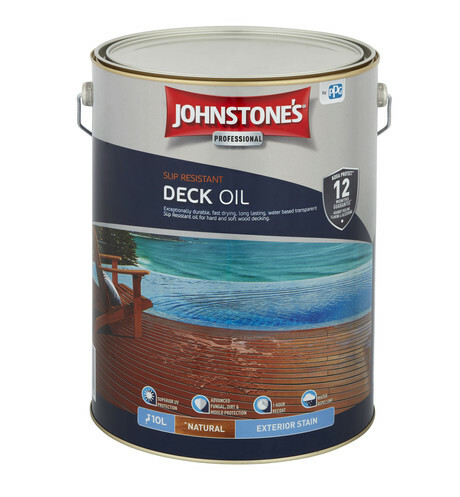 The Johnstone’s Professional range of products offers a complete woodcare system. 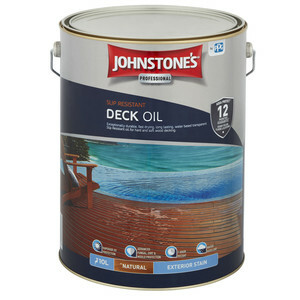 Preparation and maintenance products include Hardwood Tannin & Oil Remover, Deck & Timber Cleaner and Timber stripper, which are designed to brighten and rejuvenate weathered coated and new hardwood timber including decking, windows, doors, bifolds, fences, gates, weatherboards and cladding. 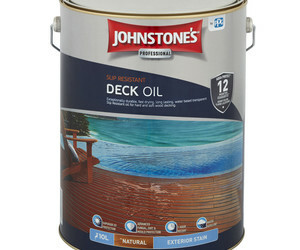 Water-based Exterior Oils recoat in one hour and are touch dry in 30 minutes. They additionally feature Johnstone’s Aqua Protect technology, which uses biocide formulations to create a durable water-repellent barrier that resists dirt, mould and stains. Aqua Protect offers UV protection through the use of durable pigments and UV absorbers to deliver longer lasting results. Johnstone’s Professional comes with a 12-month Aqua Protect guarantee against peeling, flaking and blistering. 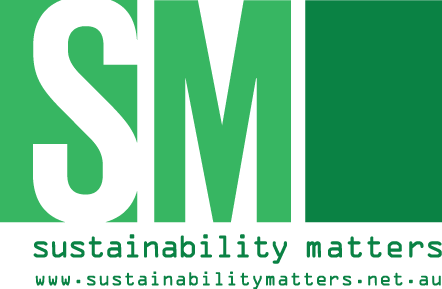 I am interested in Johnstone's Professional woodcare system .